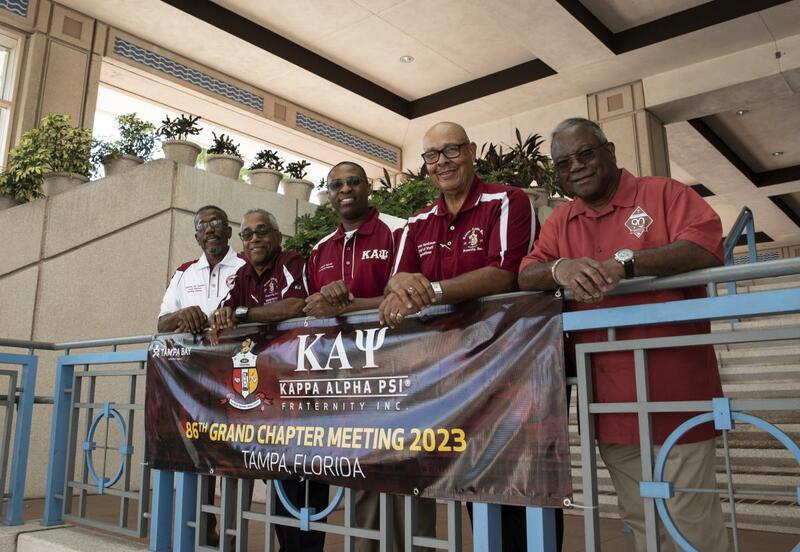 TAMPA, Fla. (January 3, 2019) – Kappa Alpha Psi Fraternity Inc. has chosen Tampa Bay for its 86th biennial Grand Chapter Meeting in July of 2023. The leadership of the 16,000-member African-American fraternity made its decision in November and finalized the planning at the end of December -- just ahead of the fraternity&apos;s 14th annual Founder&apos;s Day events held January 3-6 at the Grand Hyatt Tampa Bay. Kappa Alpha Psi chose Tampa Bay over competing bids from Kansas City, Charlotte, and Nashville. Kappa Alpha Psi was part of the Divine 9 gathering in Tampa Bay last year, which brought leaders from the nation’s historically black fraternities and sororities to experience the destination. Hillsborough County Commission Chairman Les Miller is a member of Kappa Alpha Psi. Hillsborough County Commission Chairman Lesley “Les” Miller Jr. is a Kappa and welcomed his brothers and their families to his hometown in 2023.